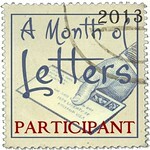 Letters to write, cards to send. Time to get busy now, where's my pen? I love cats, Meredith loves cats, cats are the cats meow. 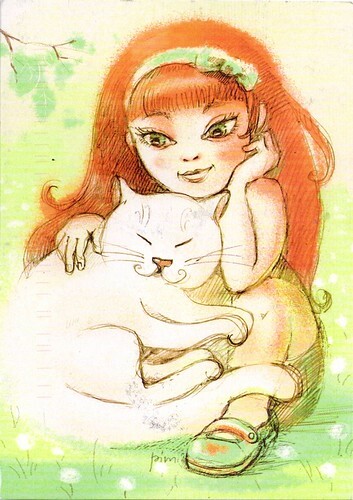 ;) My very favorite type of cat postcard to receive are painted, drawn or illustrated for a couple of reasons: I love cats but especially because I get to experience different artists and how they see cats. This beautiful little girl and her cat arrived from Russia and are by Elena Pimonova, you can see more of her work on her website. 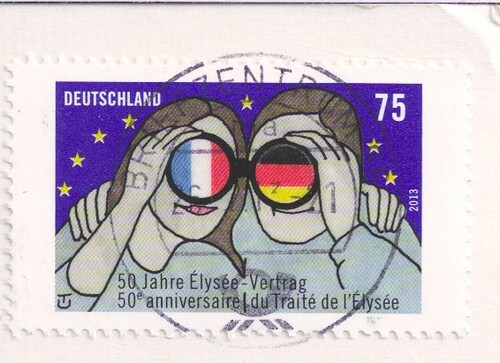 I have very few postcards on the subject of letter writing or pens and it's a category I love. 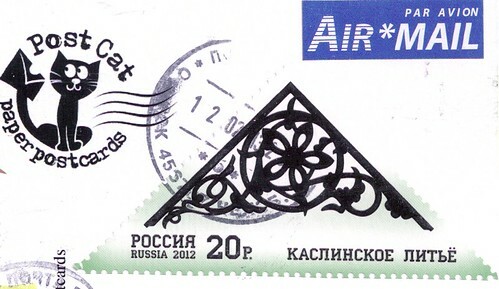 This postcard arrived from Poland and the title is, "Greetings from Vacation". 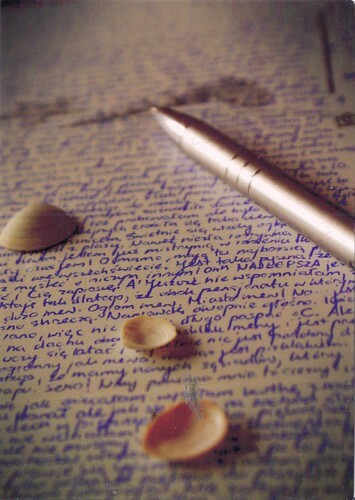 It shows a letter written in Polish and sea shells from the Baltic Sea. 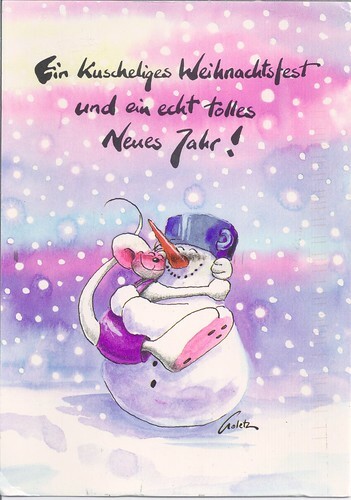 Yay, it's a Christmas Diddl postcard from Germany! Diddl is a cute mouse with big pink ears hugging a lovely, fluffy snowman! I smile every time I look at it!